ANDERSON .PAAK & THE FREE NATIONALS have announced a massive summer show in Auckland this January! Tickets for all shows go on sale at 12pm Wednesday, September 26. My Live Nation members can secure tickets first during the exclusive pre-sale beginning 12pm Tuesday, September 25 until 11am Wednesday, September 26. 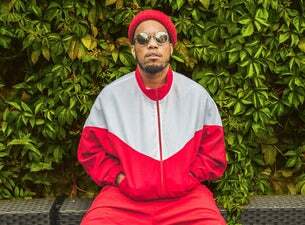 Originally from Oxnard California, Paak was first exposed on Dre’s final album “Compton”, as he was given space to showcase his considerable skills. He then sent eager ears into overdrive with the release of the Grammy winning album “Malibu” featuring killer collaborations with Kaytranada (‘Glowed Up’) and Snakehips (‘Money On Me’). The first Anderson release arrived in 2013 as an all-covers EP, “Cover Art: before issuing a full album “Venice” a year later.